Spring break is the perfect time of year to start promoting bar and drinking specials. 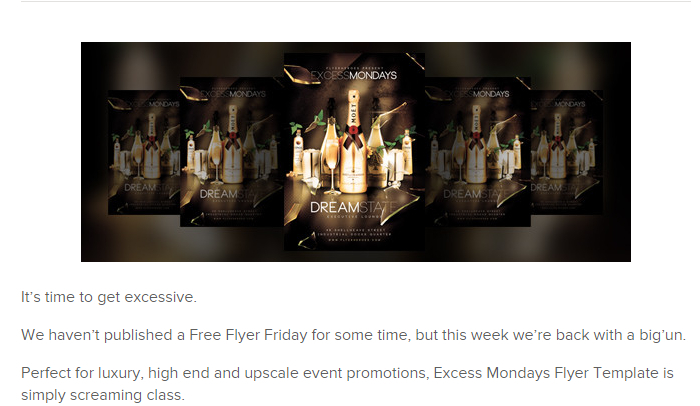 Many bars and clubs offer deluxe party memberships or loyal VIP memberships. 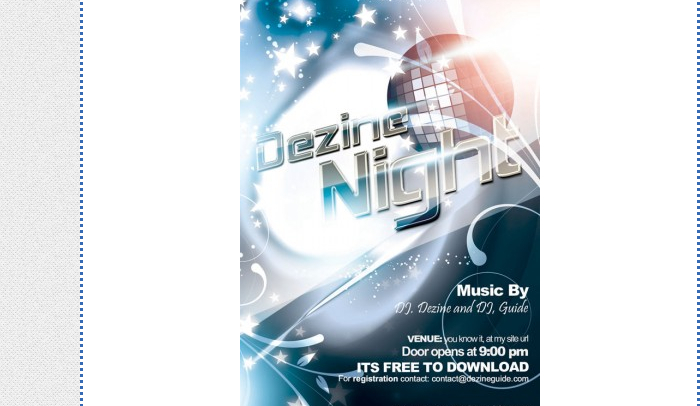 The below compilation of bar flyer templates can serve the local corner pub to high class drinking hangout. 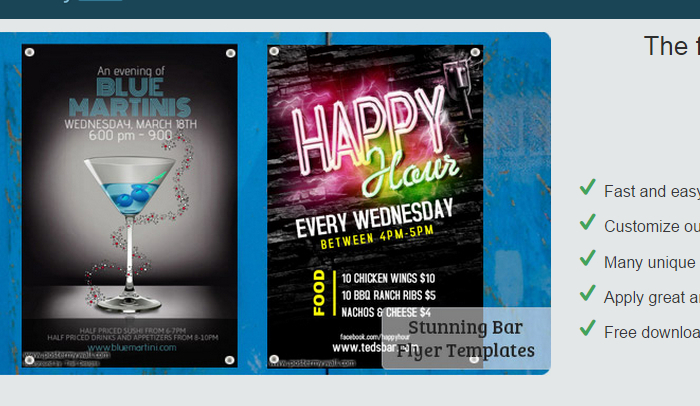 Offering a premium selection of bar flyer templates for free, these .PSD flyers can serve the novice to expert designer. 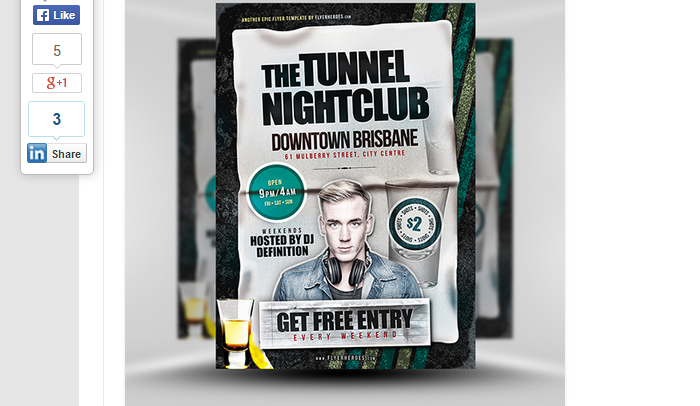 A variety of colorful and party themed flyers are visually represented with bright colors, designer typography for the event names and overall club style. These provide a great way to capture attention and can easily be passed around the night of the event, providing the ability to garner enough people to come and check the event out. A perfect selection for the more casual club experience, many of the flyers available on here are great for promoting local events and features of artists from around the area. Free Photoshop .PSD file formats are provide to allow intricate changes to be made layer by layer. This site is a great choice for many businesses that want to have a selection of dozens to choose from and use their on board program to make desired customizations. These visual editor allows you to create, edit, and download your final creation. You can also choose to have Poster My Wall do the printing for you, saving you time while offering convenience for a small price. With full editable photoshop .PSD files to choose from ranging from a basic version to advanced, these ready to print templates help to save you time and money. Included in the download is a 100% CMYK and 300dpi print ready files. 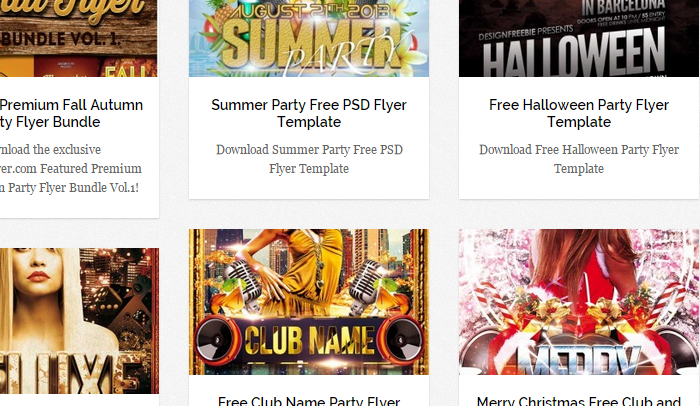 More than four dozen free flyer templates are made available in .PSD file formats to download. Edit and print from your Photoshop program, after choosing from a mixed collection of layouts, colors, and themes.Once a template is chosen, easily move elements around to suit your desired look and include the location information, contact, time, and event name.